Looking for Someone to Help in Laguna Beach Area, California! In late April this year I will be speaking on all things Kindness at an incredible marketing summit called PTTOW, taking place in Laguna, California. As part of my offering, I have an incredible opportunity to also lead a group of 20 PTTOW delegates as volunteers for a helping project in the local area. This presents an amazing opportunity that I’d like to share with you- I am currently looking for someone, a family or even a small community group who need help in achieving a meaningful goal in the Laguna area. 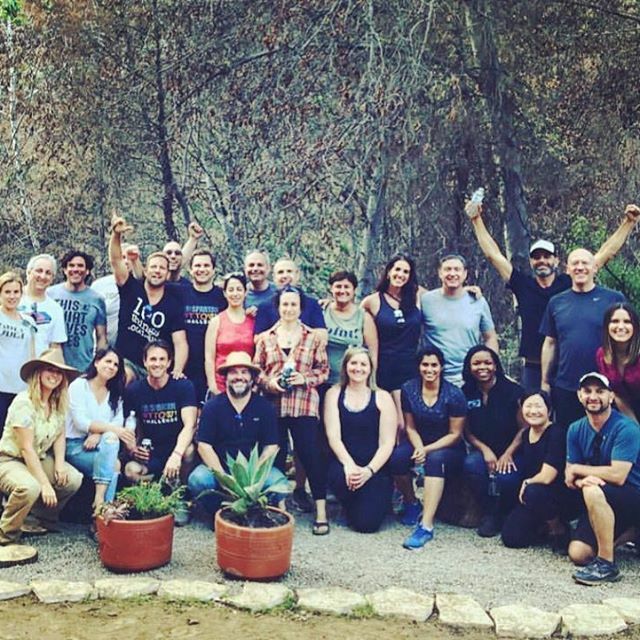 For context, at the last PTTOW event in Ojai, we were fortunate enough to be able to take 20 volunteers to help rebuild a front yard for a couple who had sadly lost their home in the devastating fires and the project was something that none of us will ever forget. Nicole and PJ were brave enough to ask for help and as such allowed us a moment in our ives to truly make a difference through using our hands and hearts to make a difference. I can’t wait to do something similar in Laguna. So with that said, please share this request with anyone you know and contact me personally if you know someone (it could be you!) who’s life could be changed through the combined effort of 20 strangers wanting to do good. We are ready to get our hands dirty if necessary, pool our resources, show care and show up for someone who deserves to see that people are good and that kindness exists.